Self-editing must be in the water . 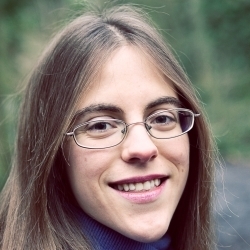 . . last week I posted on the Precision Editing Group blog about how I do it, answering questions from TJ, and today my readers get a treat: a guest post by Ali Luke that digs deeper in to the whys and wherefores of self-editing. Ali is a personal writing coach. She's written books about freelance blogging, and now she's also a novelist. Today she addresses what's behind self-editing. In short: It matters, and here's why. Whatever sort of writing you do– whether you’re working on a blog post, a book, or just a short piece for your church newsletter—you’re going to need to edit. Sometimes, that editing might take just a few minutes. You’ll be looking for typos, smoothing awkward sentences, and making sure that you’ve included everything you wanted to say. With bigger projects, though, the editing phase needs to take a correspondingly bigger chunk of your writing time. If you’re working on a non-fiction book or a novel, you may well find that you spent as long on the editing as on the first draft (and quite possibly longer). If the creative bit of writing is what excites you—seeing a blank page fill up with new words and thoughts—then editing may feel uninspiring. You may be very tempted to just call it “done” and publish your blog post or send off your book manuscript as-is. It’s very, very tough to produce a perfect first draft. You might manage it on a short blog post (though even then, you’ll almost certainly find at least a word or two you want to change). With anything much longer, you’re likely to have all sorts of first draft problems. This doesn’t mean there’s anything wrong with your writing, or with you; it’s just part of the writing process. · Missing information—sections, chapters or scenes that you realize need to be added in for a sense of completeness. · Superfluous information—tangents and digressions that you might have needed to write through . . . but that are now making your work lopsided. · Badly ordered information—perhaps chapter 10 would make more sense as chapter 5. · Repetitive information—maybe you’ve been working on your project for years, and you didn’t realize that chapter 20 covers rather similar ground to chapter 12. · Spelling mistakes, grammatical errors, poor punctuation, typos—all of these will distract, confuse and annoy your reader; thankfully, they’re easy to fix. Careful editing means taking your work seriously. It means respecting the time that you’ve already put into the writing, and the time that you’re going to be spending on publishing, promoting, or sharing this piece with others. Your editing also shows respect for your reader. Yes, of course the reader can still gain value from a piece of writing that has a few typos, or that’s badly organized—but when they’re investing their time and energy in reading your work, you want to deliver something that’s as good as you can make it. One of the best ways to be motivated is to split editing into several stages: don’t try to do everything at once, and definitely don’t try to edit while you’re writing the first draft. If you find yourself going back to restart every sentence before you’ve finished it, you won’t make much progress. If you’ve written something short, leaving it alone over lunch might give your mind enough space to come back afresh. If you’ve written a whole novel, leaving it for at least a couple of weeks should help clear your head. While you’re away from your work, your subconscious will keep on mulling over ideas—and you may be surprised what comes up when you dig in on the editing. Motivation Boost: Often, taking some time out can make you feel much more eager to get back to work! You might want to plan a vacation or a retreat so that you can rest while your writing is resting. Go through your whole post, article, or book in a short space of time—ideally, one day. Jot down any brief notes as you’re going along, if you’re worried about forgetting something. At this point, you’re just trying to get a sense of the shape of the work (something that’s tough to do when you’ve been writing for days, weeks, or months). Motivation Boost: You’ll almost certainly come across some great passages in your work that you’ve completely forgotten writing. You may find that it’s better than you expected. And even though you’ll notice some problems, you’ll also start thinking of ways to fix it. This is the stage that I often call “revision”—making substantial changes to a work-in-progress. You’ll find yourself cutting, adding, or rearranging whole sections. If you’re working on a non-fiction book, you might change the direction entirely; if you’re writing a novel, you may add a subplot or cut a character. Motivation Boost: You can make fast, visible progress at this stage, cutting through swathes of words at a time. You’ll see your book (or post, or article) coming into shape. Once you’ve gone through step #3, it’s a great idea to get feedback on your piece, especially if you’ve written something in-depth like a book. Ask some trusted friends or fellow-writers to act as your “beta-readers,” testing out your work and giving feedback on what’s good and what might need some further improvement. Note: Depending on the feedback you get, you might need to repeat step #3 and make some further big-picture changes. Motivation Boost: Having readers feels great, especially if they get excited about your book. You’ll also get lots of new ideas and suggestions, which can be really encouraging, especially if you were starting to feel a bit stale. By this point, your piece should be in good shape. If it’s a blog post or an article, all the paragraphs should be in the right order; if it’s a book, all the chapters and scenes should be firmly in place. Now, you can deal with all those little things like grammatical slips, spelling mistakes, punctuation errors, and so on. Motivation Boost: This stage isn’t very creative, but it can be immensely satisfying to get things right. If it feels like there’s a lot of work before you, try splitting your project into sections; make a chart, and check each off as you complete it. So, is editing really worth all that work? I was wondering that myself when I got to Draft 5 of my novel, Lycopolis: I sent the draft to a freelance editor, the lovely and honest Lorna Fergusson from fictionfire, and she recommended some substantial changes. I’d hoped for just a few minor corrections . . . but I took her advice on board, and I cut the novel’s manuscript from 135,000 to 85,000 words. It definitely was worth the work: the lovely reviews, tweets, and emails that I’ve had confirm that! So if you’re staring at a first draft right now—or even a fifth draft—then don’t be afraid to dig in once again, if that’s what your beta-reader (or your editor) is suggesting. But once you’ve got that article or post or book as good as you can, let it go. Put it out into the world . . . and trust that the great editing job you’ve done will be enough that your work can really shine. 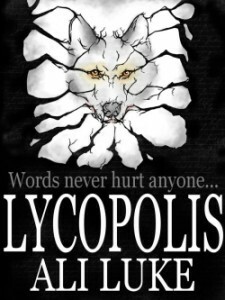 Ali Luke is currently on a virtual book tour for her novel Lycopolis, a fast-paced supernatural thriller centered on a group of online role players who summon a demon into their game . . . and into the world. Described by readers as “a fast and furious, addictive piece of escapism” and “absolutely gripping,” Lycopolis is available in print and e-book form. Find out more at www.lycopolis.co.uk. I'm all about editing my work. I have to do it, because my first draft is always too wordy. Way too wordy. And I don't give up those words easily, so it takes me longer to edit than it does to write the first draft. I actually enjoy the editing process, though, because I've already got everything down on paper. Now I get to refine it...no pressure at that point...pure enjoyment. Great post! Thanks Ali and Annette! Thank you! Totally what I needed to hear…I'm getting so bogged down with the editing and losing heart. I really appreciate the "motivation" aspects. And I am off to go read more about your book! Jessica, so glad this helped, and best of luck with your editing. I know how tough it can get at times ... but it's great to be able to call a novel truly "finished"! Very well said. Most writers tend to skip the proofreading process and publish their content immediately. Let your blog post be set as a guidelines for most writers out there. Good job!